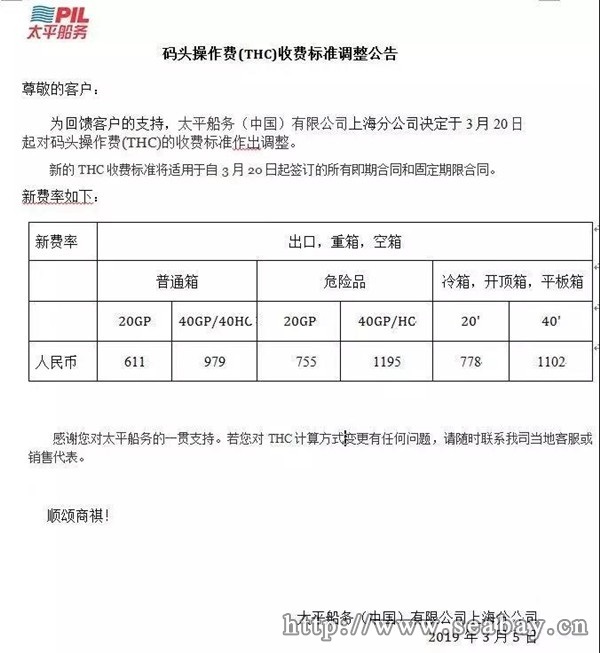 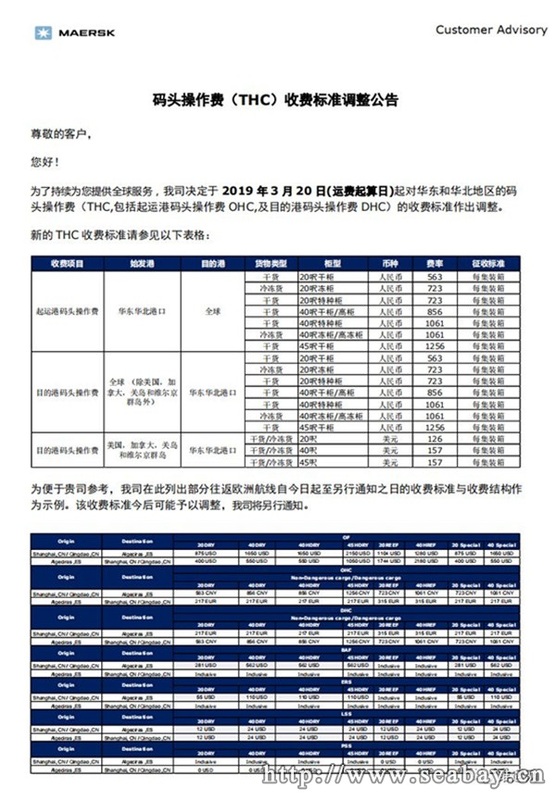 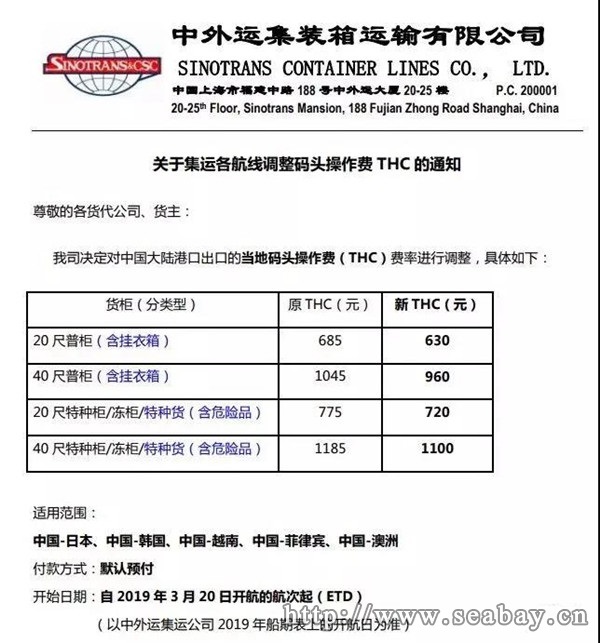 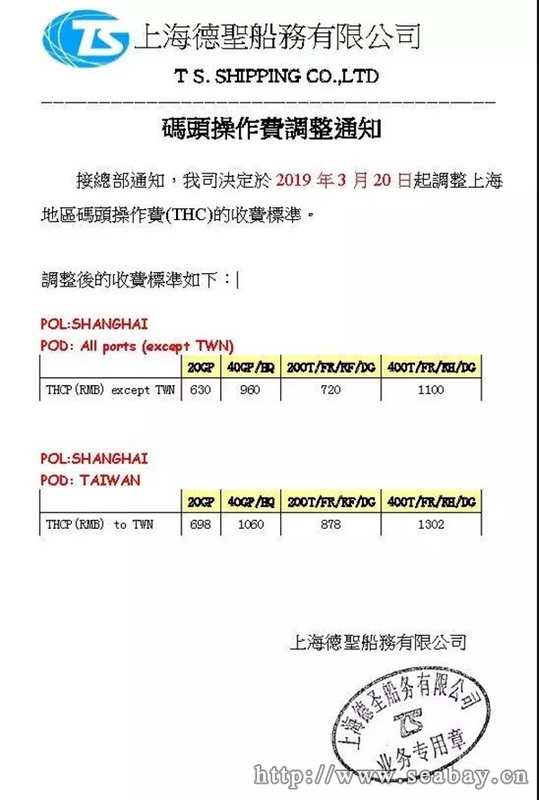 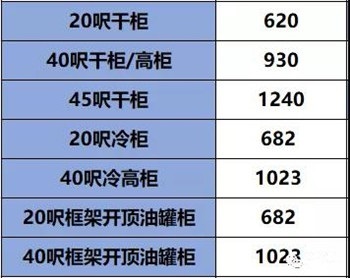 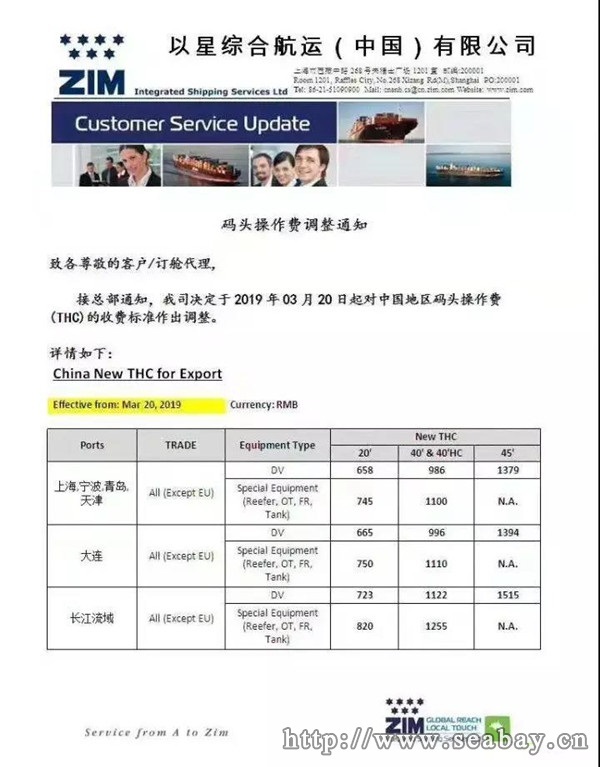 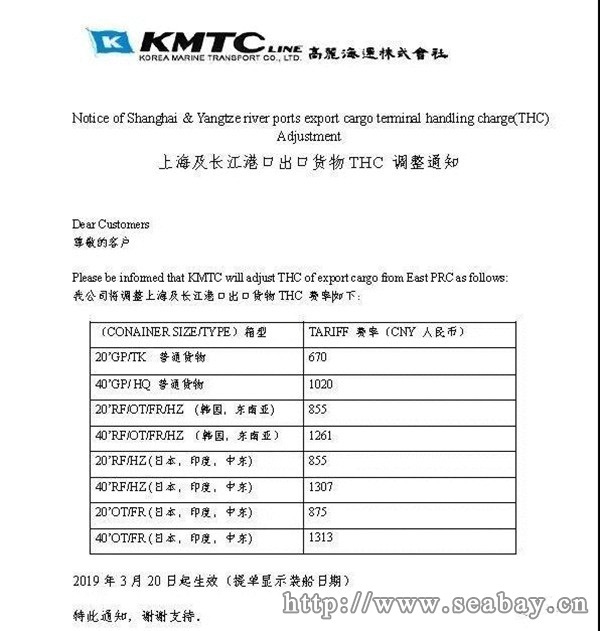 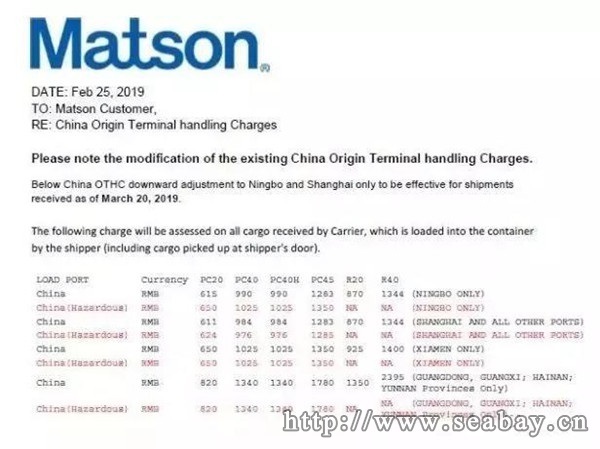 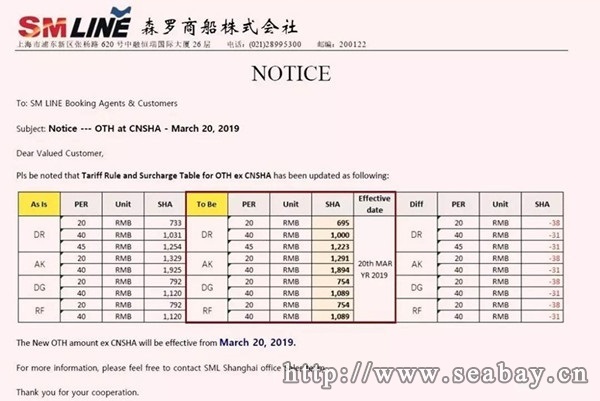 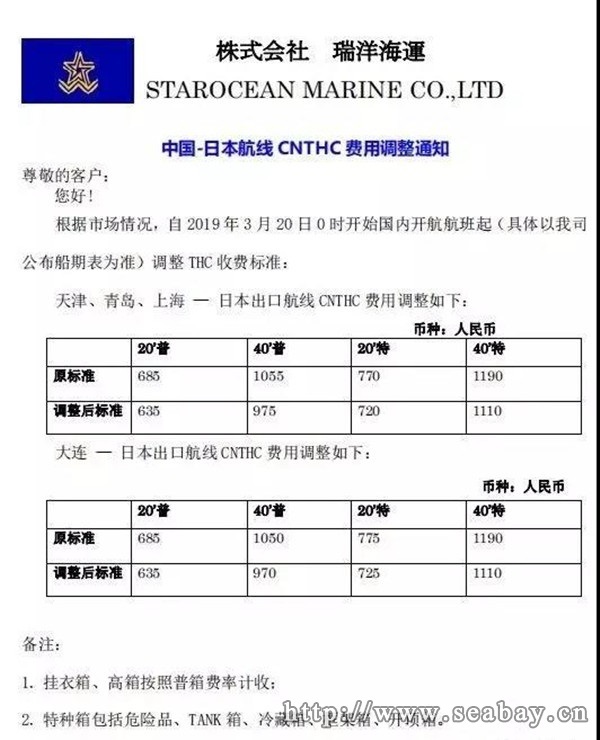 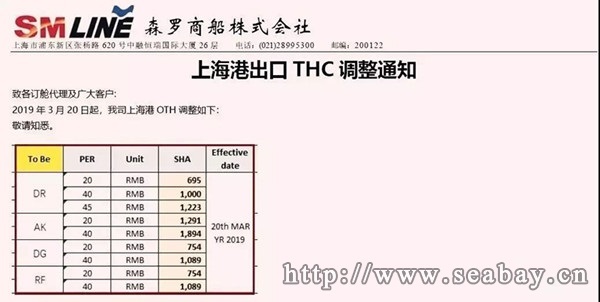 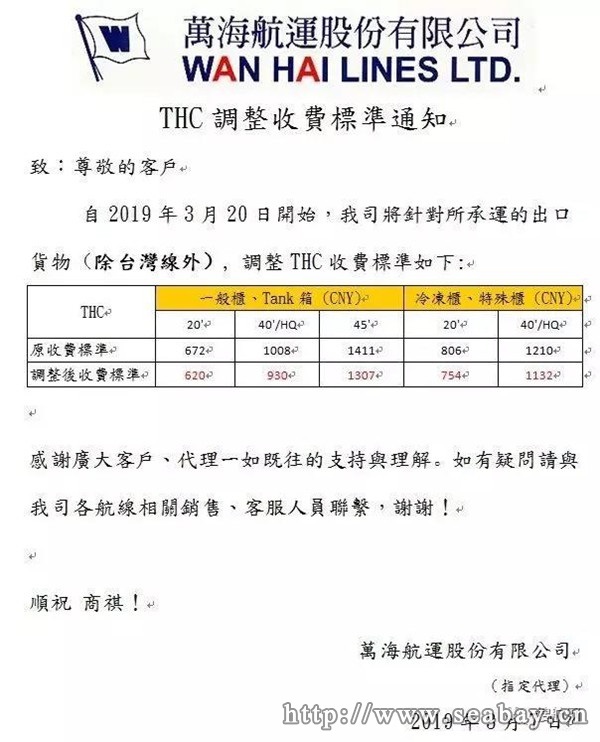 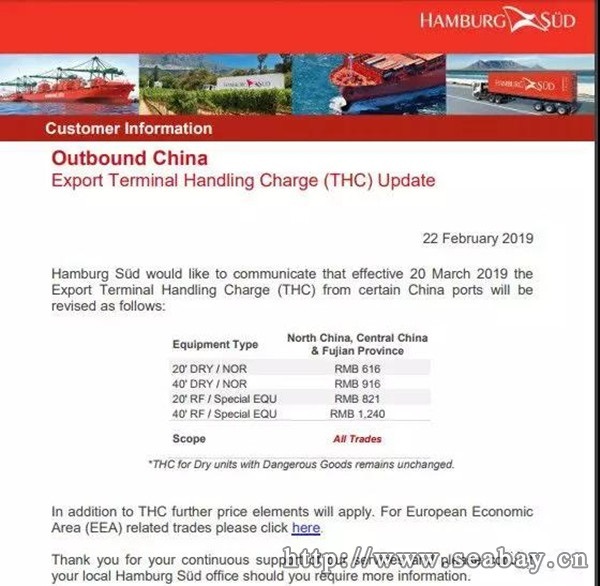 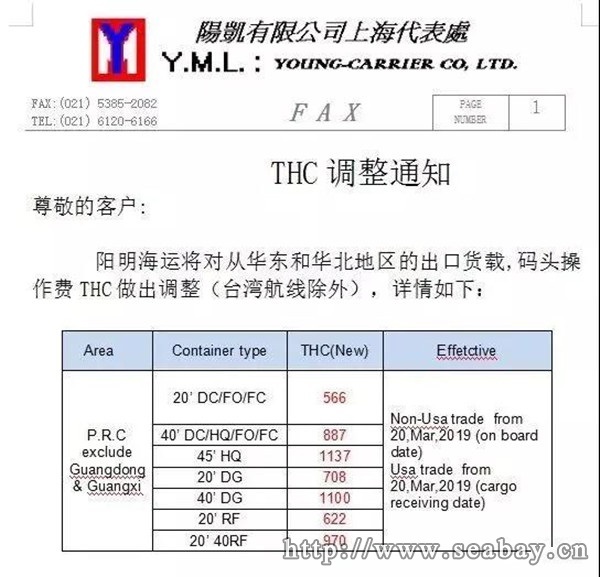 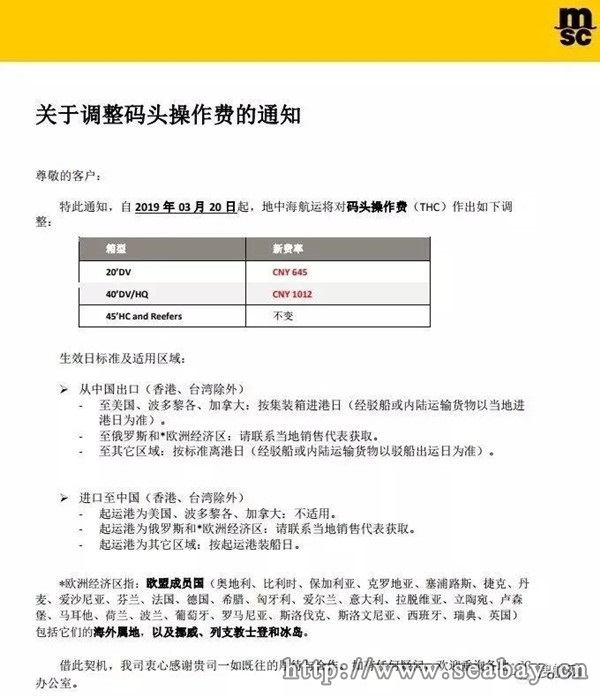 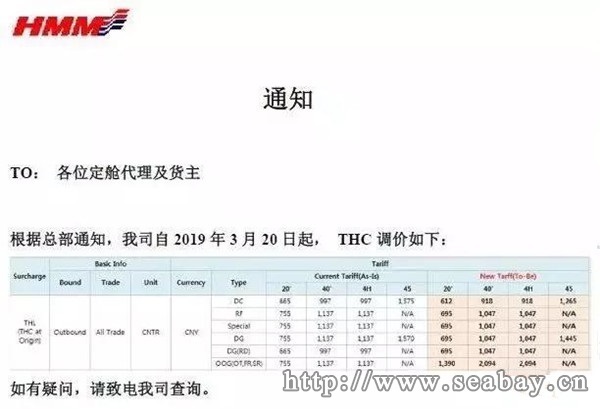 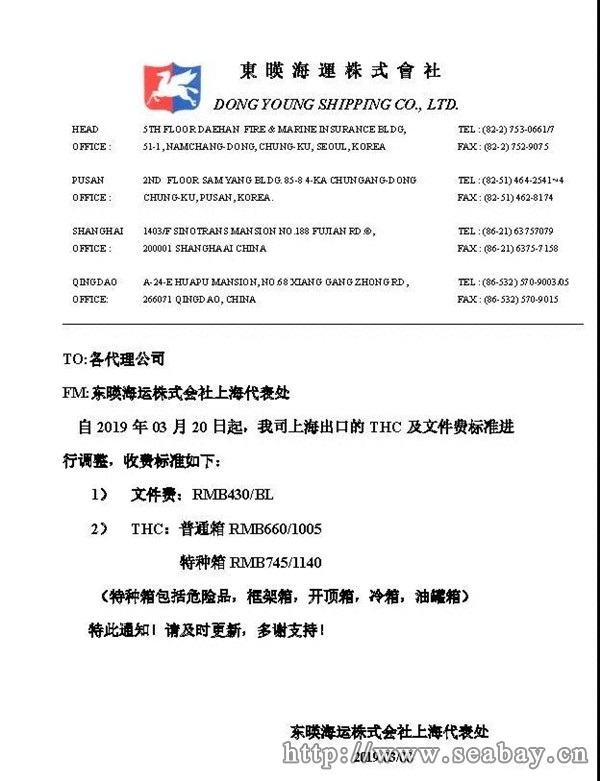 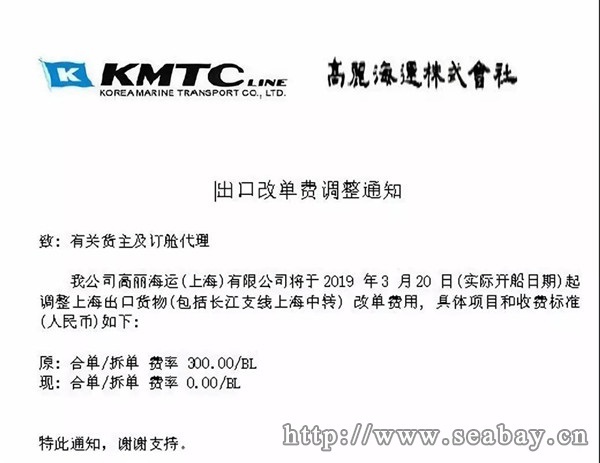 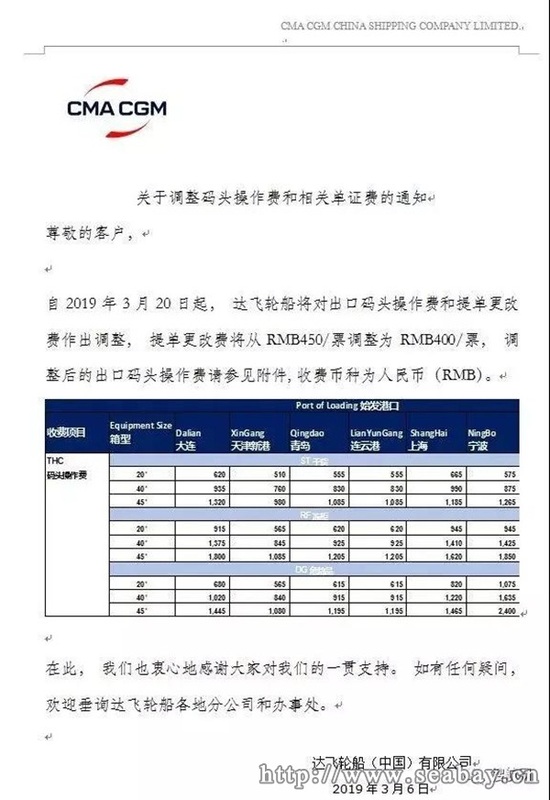 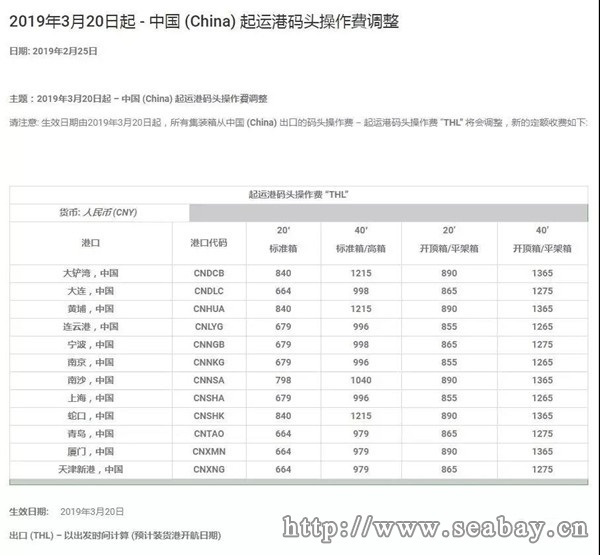 COSCO SHIPPING LINES will adjust its export THC tariffs for foreign trade services in mainland China starting from March 20, 2019 (Beijing time). 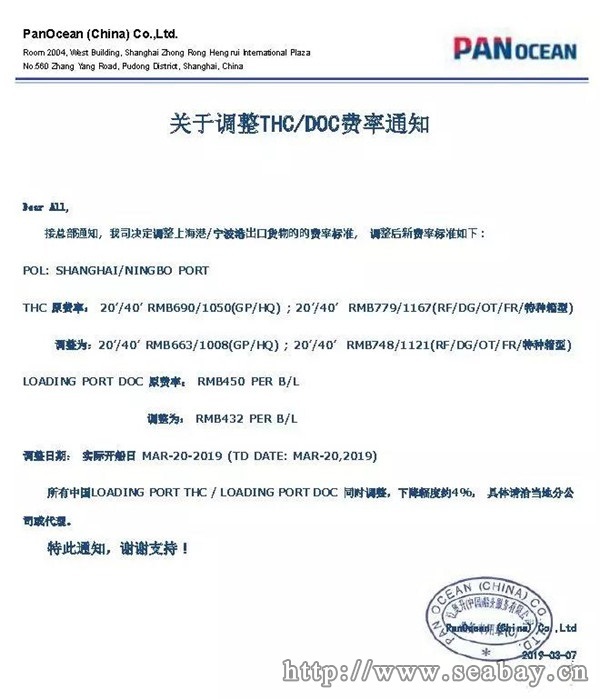 Remark: The port mentioned in the new THC standard refers to Loading Port of B/L. 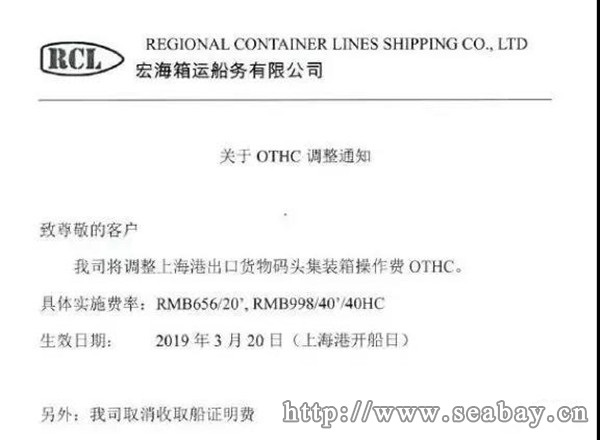 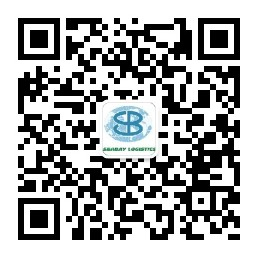 Copyright © 2004-2019 SEABAY INTERNATIONAL FREIGHT FORWARDING LTD.